If you think that punchline was in poor taste, I have bad news for you: that wasn’t a joke. That was how one of my classes at a special needs school ended. As a person who got to teach those (honestly great) kids, I was actually quite offended. I know the teacher didn’t mean to be offensive, and that maybe what he was saying was the students’ parents’ reason for enrolling in a special needs school, but hearing it put like that was upsetting to say the least. While Tofugu has talked a bit about how (Japanese) parents want their kids to be normal, the issue can also work in reverse. That is, their child is “normal,” but the parent seeks to shelter them. I use “regular” and “normal” here in quotes because what defines these words is relative, not only on a cultural level, but on a personal one as well. 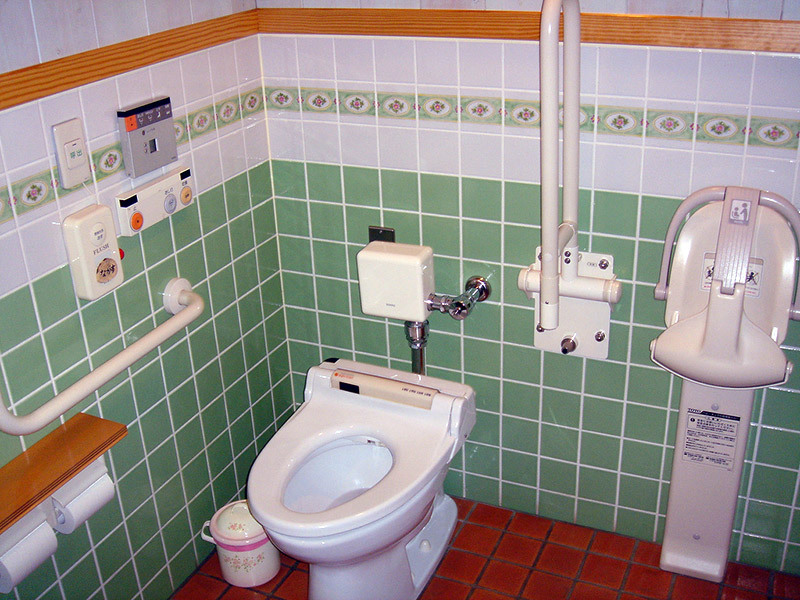 Japan has an interesting relationship with handicapped people. On one hand, the country is notoriously unfriendly for those who are physically disabled, to the point that there’s a website specifically for those curious about how (in)accessible a location may be. Sorry, but the note on this site about Akihabara is quite an understatement. 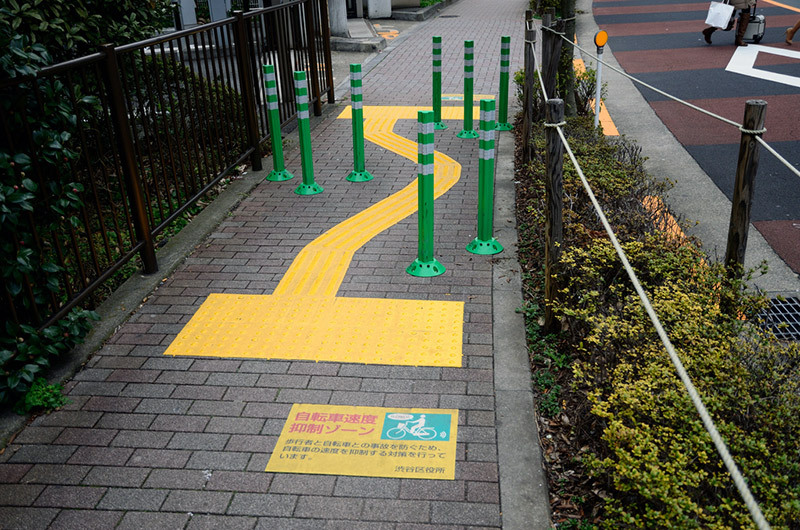 There are handicapped parking spaces in Japan, but they’re so rare that most blue and white marking I see on the road mostly signify as bicycle lane. This isn’t all of Japan though, and Japan also does a lot of good for their handicapped. When some of the Tofugu members visited Japan last year, they mentioned how accessible it is, but this is mostly for the blind. What they didn’t mention is that even Japanese beer cans are accessible. I have witnessed several instances of crossing guards going the extra mile to help blind people cross the street, but kids who can’t walk seem to avoid some of the main roads in my neighborhood. 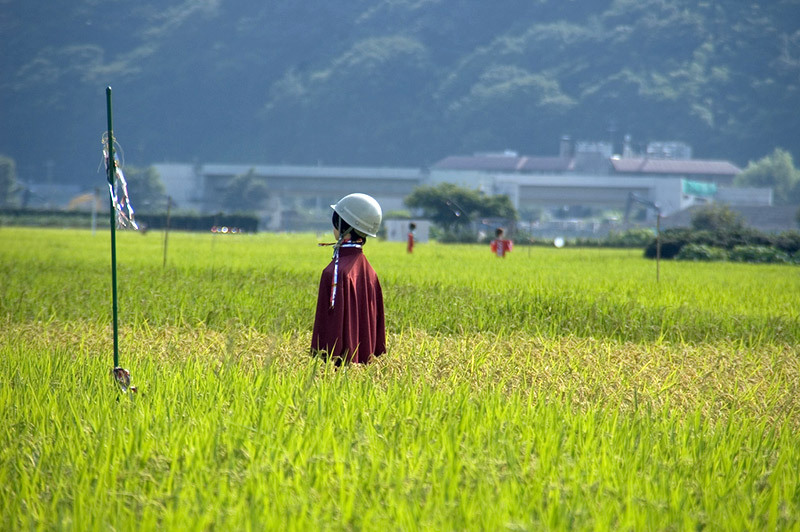 While I am living in what seems like a textbook example of a city by American standards, anything outside of Tokyo is considered “inaka” (countryside) by many. So perhaps that’s the reason why I’ve experienced a little culture shock when dealing with disabilities issues in Japan, or students who are in special needs schools but lack disabilities. To be frank, disabilities are still viewed negatively. Some people still dress it up, but one Japanese mother quite bluntly described her disabled children as “God’s defective goods.” While it may sound cruel, the woman is being very honest about her experience, and those who may wish to believe raising disabled kids is only a “blessing” would need to be dishonest with themselves if they could not at least admit that it is a difficult situation. That being said, the situation can be made easier. People with down’s syndrome can, controversially, receive reconstructive surgery, both for cosmetic and functional reasons. Naturally, the cognitive abilities of the patient may sometimes limit what can be done but, as I’ll discuss later, that doesn’t always stop parents from pursuing it. 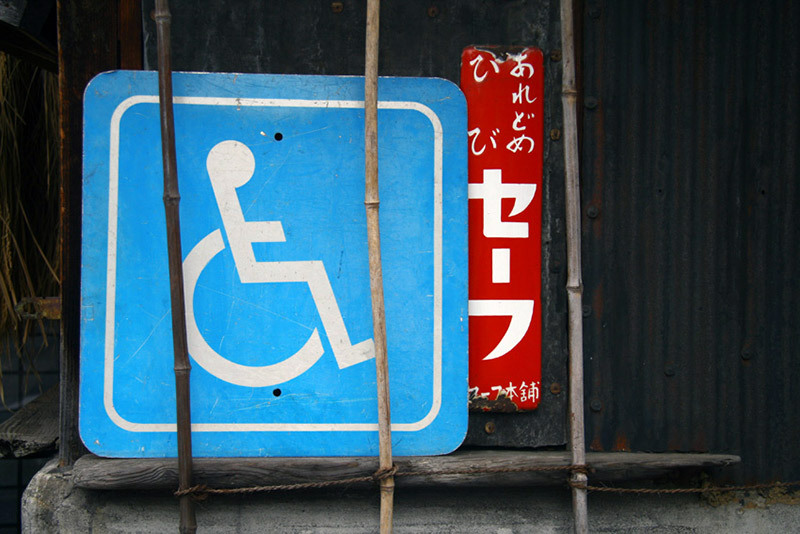 Being a developed country, one would expect good things from Japan in terms of taking care of their disabled. It is, however, a bit of a mixed bag. While there are some small schools for the handicapped in my prefecture, there is one quite large school that is a technological wonderland. While my “normal” schools have teachers who have no idea how to use an overhead projector or believe the only tools worth using in the classroom are a blackboard and chalk, my special school had… well, everything. Huge televisions, automatic doors, toilets and faucets, washlets in every bathroom, an elevator with doors opening in the front and the back, Wii Sports Resort, and computers for the faculty. All the faculty. That might sound normal, but most teachers around here who aren’t full time employees are lucky if they can even borrow their own computer on a daily basis. At my old special needs school, every employee had their own. It’s also worth noting that there was one teacher for every student. Let that sink in for a moment. Think about your own classrooms growing up. I was thrilled in college when I had a class with one teacher and eight students. Walking into some of the handicapped classes with a teacher literally holding each student was mind boggling, in a very good way. Not all classes were like this, but the classes were very small and always well supported. However, that also had a down side which actually took a very long time for me to figure out. Despite the fact that this was a school for handicapped children– children with learning disabilities, physical deformities, blindness, deafness, etc– aside from the sign-language interpretor, these teachers were not properly trained for their work. It may be a bit ethnocentric, but that’s my feeling. While I’m no expert, I grew up in a school that had students with down’s syndrome and shared some classes with them and their personal teachers. I had to study special needs issues, particularly in their relationship to language learning, and some of the things that well meaning but ignorant Japanese special needs teachers said or did were often dated, to say the least. Students with working hands and facial deformity learned to use a speaking computer rather than sign-language. Teachers talking to deaf students generally yelled, rather than (if they knew it) use sign-language or more clearly moving their lips at the absolute least. I was told certain kids would never understand Japanese, which, after triple checking with one of my former university teachers, isn’t true (grammar is difficult, but simple nouns and verbs are very possible). In fact, these same teachers would use complex grammatical structures when addressing kids and even said there was nothing they could do. Even after I tried showing them how a single word or very simple sentence (in my poor Japanese) repeated in different tones could catch a student’s attention and get them to focus on the most important part of your message, most teachers simply believed that I had some sort of gift. Only rarely did other teachers seem to employ these techniques themselves or pick them up from me. 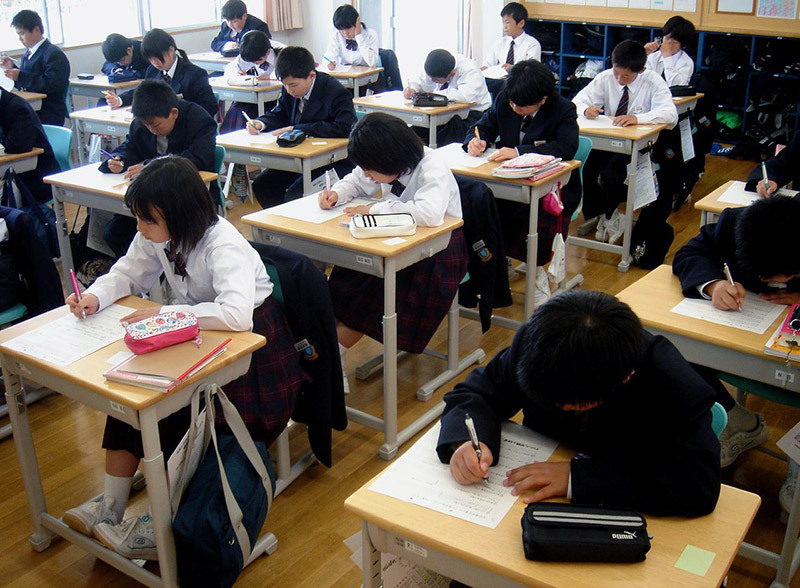 I should have suspected something sooner, but it wasn’t until a rather unfriendly teacher at my academic high school was being transferred to a special school that I learned the truth: any regular Japanese teacher can be assigned to a special needs school. While I’ve had many teachers tell me that there is no training for this in Japan, it’s not true. It’s just very, very uncommon. The current generation of teachers do get some training when they enter the new school, but I’m told that is only a few hours or days. While some teachers seem like naturals, others are clueless and seem to have given up hope on the students, simply going through the motions as one might expect in a “regular” school. There was often a very clear line as to when I was able to teach and who I could teach to, but that didn’t make it easy. I had “students” who were hydrocephalics, with heads twice the size of their tiny four year old bodies. I had screaming students placed onto my lap that bit themselves out of nervousness till they bled. I had students who, just by seeing an adult male, would burst into tears. Some of the problems could be overcome, but others were impossible, at least for me. Some students though, were quite normal. From what I understand, Japan’s official policy is to separate disabled students from “regular” classes, but it’s up to local boards of education to handle this. However, around here, a parent can get their way if they make enough noise. I know that might seem odd from the culture that constantly employs “the nail that stands up gets hammered down,” but it’s true. Many parents use their outspokenness to get their very normal kids placed in special needs schools. One little rebel, for example, was supposedly in the special needs school because she had a “rough home life.” This child was stuck in a class with several down’s syndrome students and a few with handicaps that made it difficult for them to speak or write. And this girl certainly had an attitude! Most Japanese kids are thrilled to meet foreigners. While I could tell she was curious about me when I first came to class, she tried to pretend I was just another “useless” teacher. However, as lessons went by, I noticed she was whispering the answers to herself. I started asking her to help other students, both the ones who were unable to do anything on their own and the ones who, at the very least, seemed to understand the lesson but had disabilities that made expressing their thoughts difficult. This girl was smart and seemed to figure out when she was “helping” or giving her answers quite quickly. She started smiling more, and at one point, asked me to put some furigana above some lyrics she had printed out so she could learn to sing some songs she liked (curse you Lady Gaga and your use of French!). Last time I saw her, she had certainly grown, both in height and maturity. She was freely helping her classmates, always with a smile, and was patient with the ones who understood their situations but had trouble expressing themselves. As for my students from the start of this article, they’re great kids. The kid who was “too fat” was a middle school student and understood English better than some of my high school students. In fact, most of the students in that class who didn’t have down’s syndrome understood English better than some of my high school kids. Her “too shy” friend was the same. The girl had a great imagination and was a good artist (I had thought she’d drawn some Pokemon I hadn’t seen before, but it turned out they were just her own ideas). The girl with polio? She might have had trouble walking, but she had her own way of running. All three girls were pretty happy kids, high functioning, and only limited by having to go at a slower speed because they were studying with classmates who had mental disabilities. I did, however, have down’s syndrome students who, if it were up to me, would have been in a mainstream school. “Alex” (not his real name) was actually quite amazing. He was an elementary school student with not only down’s syndrome but another growth problem that made him much shorter than most kids his age. At about nine years old, he only stood maybe two and a half feet tall. Like many kids with his disability, he has a tongue that’s slightly too big for his mouth, so talking for him was more difficult. Somehow though, his English accent is quite good, even if he doesn’t speak more than perhaps three words at a time. He understands what’s being said and was able to play “Simon Says” quite well after only a few mistakes. He could even sometimes give answers his “normal” peers couldn’t. Teachers worried about him because of his height, but he was allowed to move around on his own and even led me to the teacher’s office by himself once. This kid was less disruptive and much smarter than the down’s syndrome kids I had classes with in “regular” elementary school. I don’t want to demonize the special schools or “normal” students though. The situation is simply different, partially due to how people choose to raise their kids. There are kids who have real problems whose parents put them in regular schools. I had two students (in separate classes) in the same school who had aspergers syndrome. It wasn’t mild either. It was immediately apparent that there was something different with these students. Oddly enough, both loved English and would often be the loudest or most outspoken person in the class, but the similarities ended there. One boy had friends, or so it seemed, since he lives in my neighborhood and I’ve seen his friends wave him over to join them. However, he craves attention, not just from his classmates, but teachers also. He studies a lot, but because of his condition, it’s obvious that some of the most important lessons he’s learning aren’t in his books. Being in a normal school has probably helped him a lot, yet he still misses a lot of social cues. He asks odd questions and takes things (at least in English) far too literally, which has caused some confusion and hurt feelings when he thinks another teacher or I are upset with him. Overall though, I think he’s having a good experience, and his parents made the right choice to keep him mainstream. The girl, on the other hand, might need some more attention. While outspoken, she seems to fear her classmates at times, and her classmates are often silent if she says anything. For example, at the start of class, when the students are normally expected to greet me in unison, the other students are mostly silent and allow the girl to speak directly to me. Of course, she wants the teachers’ attention, but that’s not exactly seen as a positive attribute. There’s some giggling, but I haven’t seen people really try to hurt her beyond that. 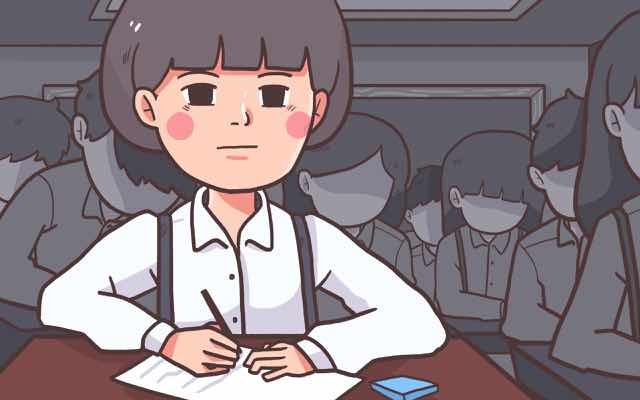 Other students seem to try to work with her in class, even if they think no one’s watching, but it seems like she’s more comfortable working on her own, even in group. If she thinks I’m upset with her, she’ll almost be afraid of me, sometimes for a whole month (and I only might see her once a week at most). A specialist might be able to help her, especially if she had some one-on-one time with someone at the school. I’m glad she’s not at a special school, but at the same time, it feels like our school isn’t quite equipped to help her. Slightly related are my students who are in regular classes but deemed unfit for the classroom and sent to a different room for independent study. Some teachers will tell me the student has a mental disorder but have no name for it, while other teachers will tell me that said student is bullied and the disorder is a made up as an excuse to separate the child. One child studies alone, and I only see them when I have to give them a test, which they take in a separate room, sometimes with an off-duty teacher there to monitor them. Japan’s reputation for helping the handicapped is deservedly mixed. The blind and the deaf seem to be well taken care of, and those with certain physical handicaps are slowly getting more tools to help them. However, mental disabilities are still a very difficult topic. The line between who has a disability and who doesn’t is further blurred by social problems under the same category from my western perspective; problems ranging from weight to bullying. While there are employment opportunities for the disabled, financial independence is difficult for them. As the this article mentions, 30,000 yen a month really isn’t a living wage. No country’s perfect in their treatment of the handicapped, but the situation in Japan is overall different (not better or worse) than what we may be used to at home.